A Proven way to Slim Down - Lose Pounds of Unwanted Fat and Have Your Best Body EVER. The good news is that you're closer than you think to having the body you want. If you had a “magic wand”... And it could wipe away pounds of belly fat, would you use it ? If it could tighten and tone your stomach and improve your posture, what would you say ? And help you LOVE what you see in the dressing room mirror ? Would that excite you ? So don't just dream of having that bikini body Let's Make it happen. Fit in clothes you have only dream't you could look good in. Take years off the age you currently feel to match the new body you will have. In fact, you will be sending me emails complaining about all the new clothes you need to show off that . We all aim to be slim and healthy and many of us achieve this, some of us are naturally slim and some have to battle to stay slim for our whole life. Others, like the idea but lack the real drive to follow through with the actions needed to succeed. 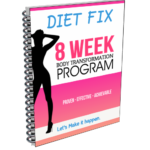 I am going to show you how to make permanent changes to your eating habits so that you never have to think about a diet ever again - being slim and healthy will be the way you are all the time. That's right Slim and Healthy will be your normal look and feel. Are you fed up of trying so hard to lose weight ???…. every time you pick up a magazine there is a new diet plan promising to be the answer to your problems, you get your hopes up that this will be one - the answer that you have waited for - but it ends up being just the same as all the rest - full of recipes that take hours to make and full of ingredients that you have never heard of. Yes, you may try it for a few days, even a week, but it just seems like hard work to make up all these recipes or too restrictive and you throw in the towel, go back to your old ways and probably ending up heavier than when you started. It's not how much you lose, It's how much you keep off ! Most diets help you lose weight, some more than others. The diets that help you keep off weight are not short-term fad diets, but a long-term way of eating better and healthier. Everyone talks about how much weight they or others have lost, but never about how much weight they have kept off. It's not how much weight you lose that matters, it's how much weight you keep off that counts !! away from just losing weight, to keeping it off. When I was in my teens and early twenties I could maintain a lean athletic looking body without much focus on what I ate. I was extremely active and burn't up calories by the dozen. It wasn't until I reached my late twenties that I began to notice a few extra pounds creeping in around the waist - it was really annoying that I was still exercising hard but seemed to be going backwards - this didn't sit well with me. I was a personal trainer and had always had a lean body, I was a role model and the thought of not having that toned, athletic and lean appearance anymore made me think I wouldn't be taken seriously anymore - those of you that know me will know that I am very passionate about helping as many people as I can improve their health and fitness - For me it was not an option to be overweight, I had to address the situation, but I had to do it in a way that would be fast acting and sustainable. I generally preferred the healthy option anyway, but I hate to think how many times I opted for the Quick, convenient option instead - you all know the one - get home, starving hungry, can't be bothered or want to wait for the home made meal to cook, so you go for the pizza out the freezer of the takeaway down the road. If becomes a slippery downwards slope as time passes by. Once you convince yourself it isn't too bad to eat this crap food you allow yourself to eat it more often and when you factor in lunches and breakfasts it doesn't take long for you to be eating foods that maybe aren't really bad, but when you add them all up you aren't going to achieve the results you want or ultimately deserve - if you are busting a gut in the gym, you want to see the reward or you will get disheartened and stop. I realised I needed to combine my nutritional knowledge with my mums home cooking but keep it in a format that I could realistically follow each day - I needed to FIX my DIET. I needed a plan of action that would give me back my sharp, toned appearance, make me feel great physically and get the confidence again to keep the respect from my clients and friends. Making this plan was the best thing I ever did - I know so many people that really struggle with keeping control of their eating habits - with this plan everything was done for me - it took away the decision making part of each meal time - I knew what I was going to eat and so I wasn't overpowered by the temptation of the crap stuff. As the weeks went passed I became firmly FIXED in my new eating plan and could feel and see the difference. My waist slimmed down, my body's shape transformed into the athletic version I wanted it to and any excess fat was shredded from all the unwanted area. I knew it would work but until you see the results you always have a little doubt about being able to achieve the body you want. I am sure many of you know what you should eat but for some reason just don't. For others it is the reassurance, so that your efforts have rewards. WHAT RESULTS SHOULD YOU EXPECT FROM THIS PROGRAM? Drop all over body fat, especially around your mid-section. Look and feel more toned/leaner. Improved energy and performance in training sessions. Have less or no cravings at all. Maintain fantastic sleep patterns, quality of sleep and jump out of bedfor once. INCREASED SELF IMAGE AND BODY CONFIDENCE. What's included in the DIET FIX system ? Main guide - This gets you back on track quickly by addressing your eating habits and provides tips and tricks and how to get your body's metabolism fired up day after day. Optional 3 day cleanse - this is a great way to kick start your new eating plan and will get you instant results - please note this is not a detox. Meal plans - Know what to eat and when to eat - with options to taylor the plan to your tastes and lifestyle. Shopping List - To keep things super simple for you, you will get a weekly shopping list. Buying out guide - what to look for when you have to buy food on the go - essential for anyone who regularly has to buy food during the day. What to do to get over the hump - occasionally we get caught in a situation where we just don't seem to be able to shift any more weight - I give you the help you need to get you back on track and start shifting those pounds again. My top ten quick weight loss tips - Essential to ensure you get your best body ever. Plus my FREE Bonus BELOW to ensure you get the results you deserve. I have kept everything as simple as possible because that's how I needed it to be and I know you will too. Eating is something we have to do numerous times everyday and it you don't have a plan you can't expect a result. If a boat didn't have a captain to guide it, chances are, it would get out the harbour - don't leave your body without a captain - instead, take it on a clear well planned out route to a lean and healthy body. 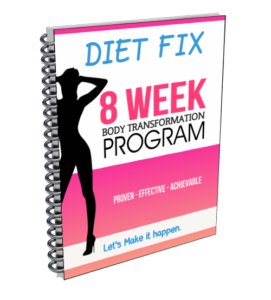 And because I don’t want price to stand in your way of losing pounds of body fat and feeling amazing about yourself, I’ve cut your investment in Diet FIX from 27 to 17 all the way down to the very low price of just 10! I truly look forward to hearing about your weight loss success using my new DIET FIX system. 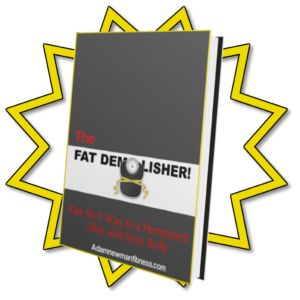 When you complete your order for the Diet Fix programme today you will also receive my brilliant 'Fat Demolisher" Book. This book will give you the best understanding you have ever had on what works and what doesn't when it comes to eating, nutrition and diets. It is a no nonsense - 'tell it how it is' book that will have you firmly confident on how to get the body you want - and what is more important it will show you where you have been going wrong over the years and what that has done to your body which has been holding you back.